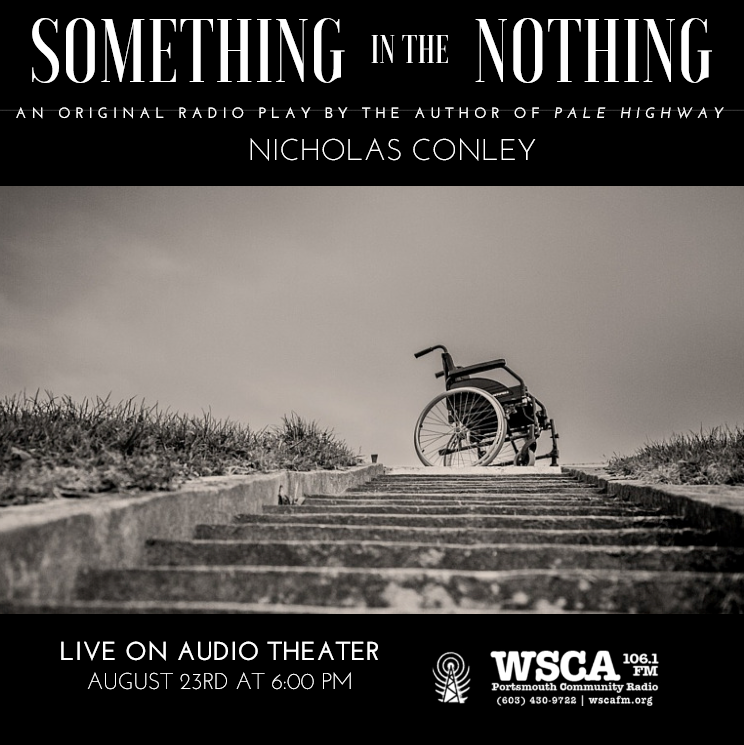 From the author of Pale Highway comes a radio play that aired live on WSCA 106.1 FM in New Hampshire, on August 23rd, 2016. Set in a nursing home, Nicholas Conley’s Something in the Nothing tells the simple story of a conversation between an Alzheimer’s patient and his caregiver — a conversation that will have a dramatic impact upon both of their lives, forever. Something in the Nothing stars the voices of John Pearson, Erika Wilson, Jessica Rainville, Jessie Duthrie, David Phreaner, and Suzy Manzi. The play was directed by John Lovering from an original script by Nicholas Conley. How exciting! Congrats on this latest new work.